How do I find out what's going on in Skopje? I hear the noise or I just get lucky. 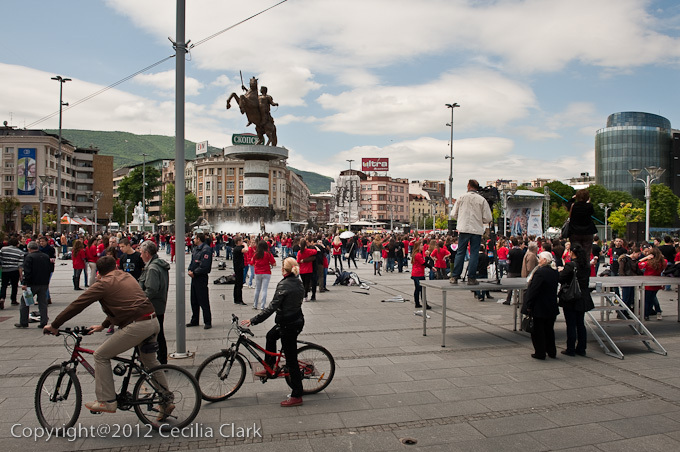 This morning I heard the noise and saw a huge line of high schoolers wearing either red or black T-shirts heading up the pedestrian street toward Macedonia Square. I followed. 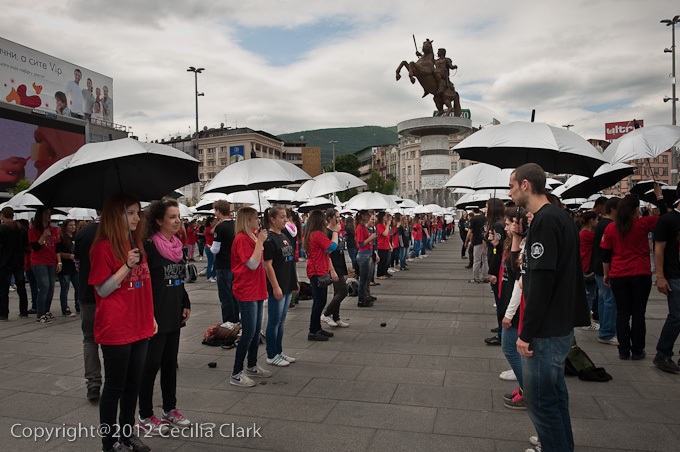 It took a while to figure out the reason for this mob of teenagers, but eventually, on stage, a Radio Slovenia broadcast was turned on. 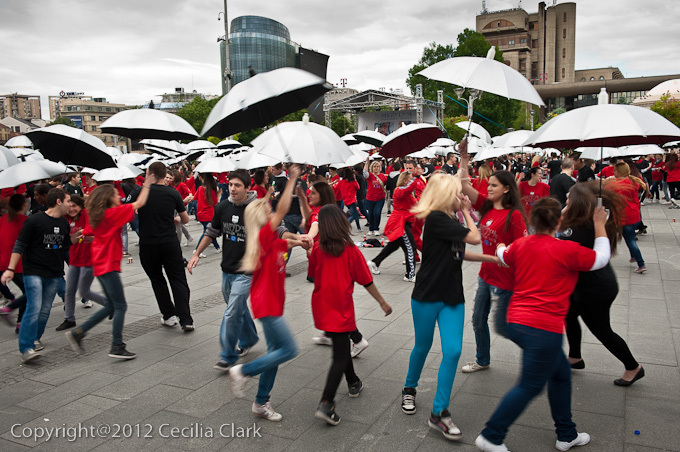 This is a Dance Parade for a new world record for simultaneous dancing. 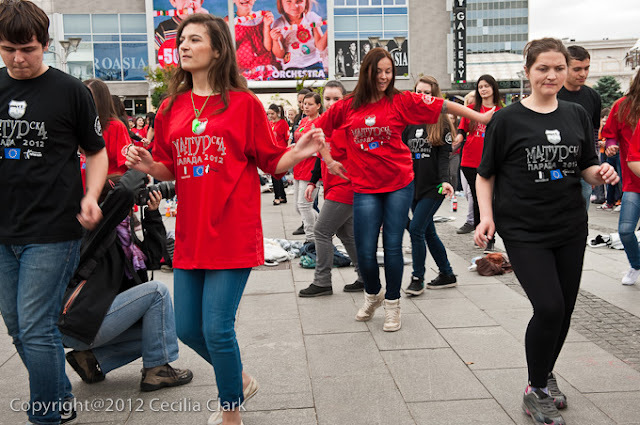 This year, the Dance Parade is happening simultaneously in 58 cities in Slovenia, its Balkan neighbors, and in the Ukraine. It happens every year with more participating cities and countries. The participants are graduating high schoolers. At 12 noon, the Dance Parade officially began with a mass quadrille. 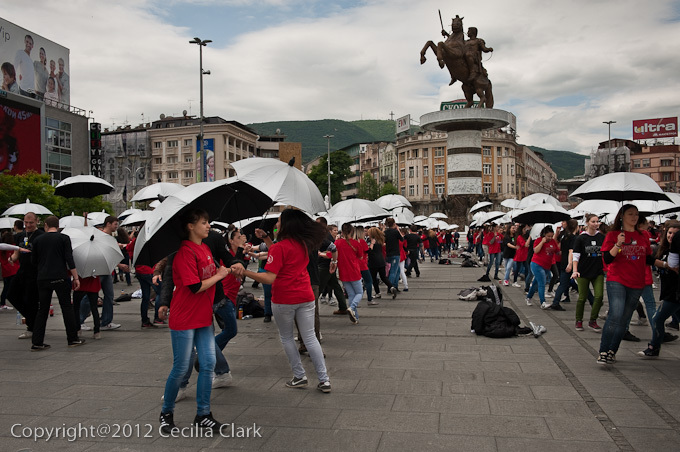 These newly graduated high school students came from cities all over Macedonia for this event. 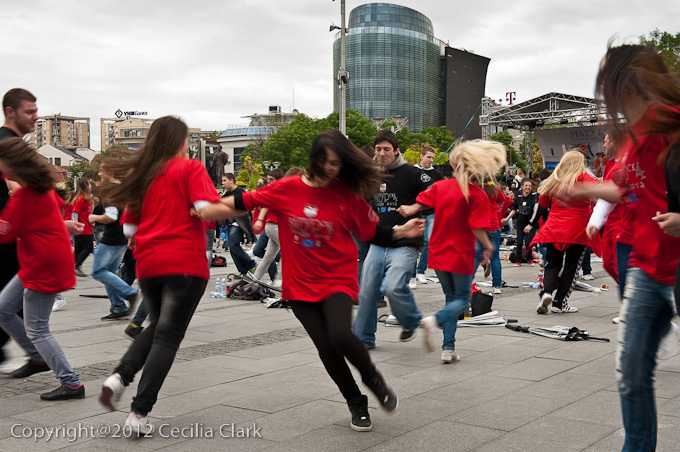 The mass quadrille event has already broken at least six Guinness world records for synchronous dance since its inception. This year? Yes, another world record. It's certainly more fun than the world's highest flag pole.